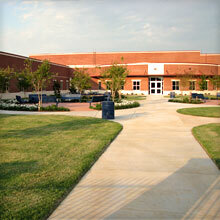 The campus site development design for Clarkston Elementary School (Tyler Independent School District) provides a pleasant environment for students and faculty. 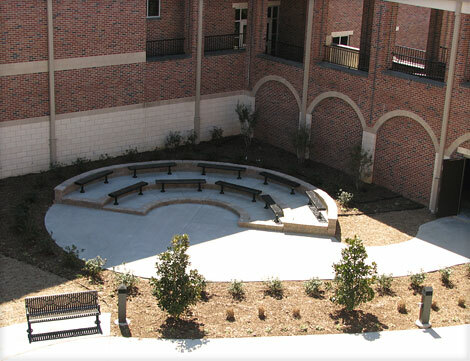 The courtyard development theme for Clarkston Elementary School was space. 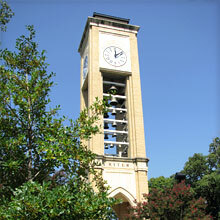 Clarkston's courtyard is divided in two by an overhead walkway, creating two distinct design elements. 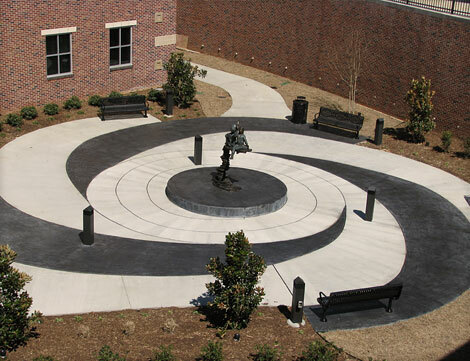 In the first courtyard area located off of the cafeteria of the school, a large solar system was created in the hardscape of the patio. 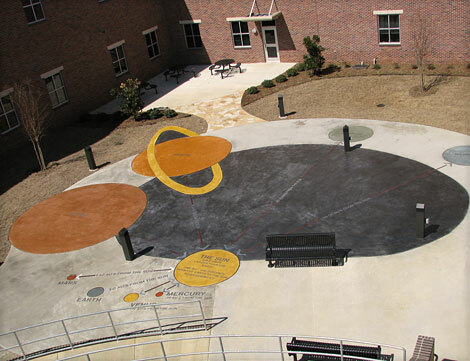 Each of the planets were illustrated with letters embedded into the concrete that gave the distance from the sun and size in relationship to the size of the Earth. 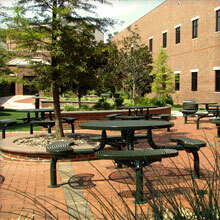 Also, within this courtyard area was the art patio area, just outside the indoor art studio, used by the students. 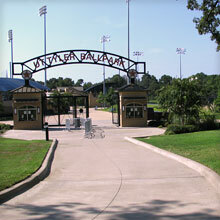 Walking beneath the overhead walkway, one finds themselves spiraling into the next courtyard area, where a raised platform awaits with a sculpture of two star gazers. 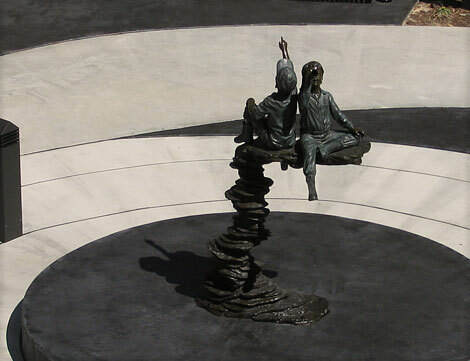 The platform is the center of a spiraling black hole (stained concrete creates the spiraling effect). Tucked away in another corner of this courtyard, away from the spiraling black hole, is an small outdoor classroom for teachers willing to venture into the realm of space.